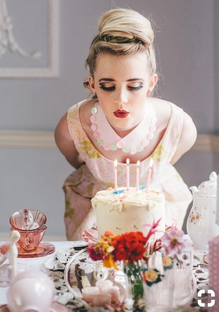 Blow out the cake candles on your birthday cake ! 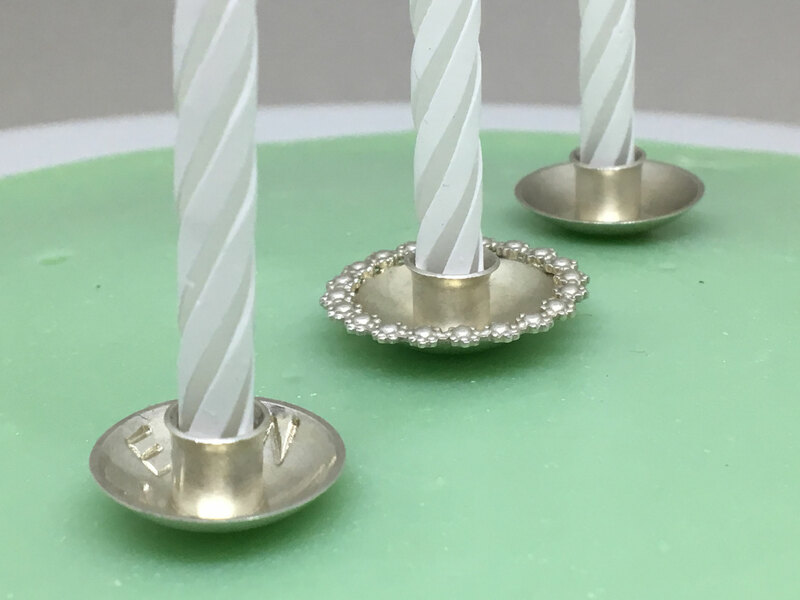 The birthday cake is often decorated with small candles, secured with special holders or simply pressed down into the cake. 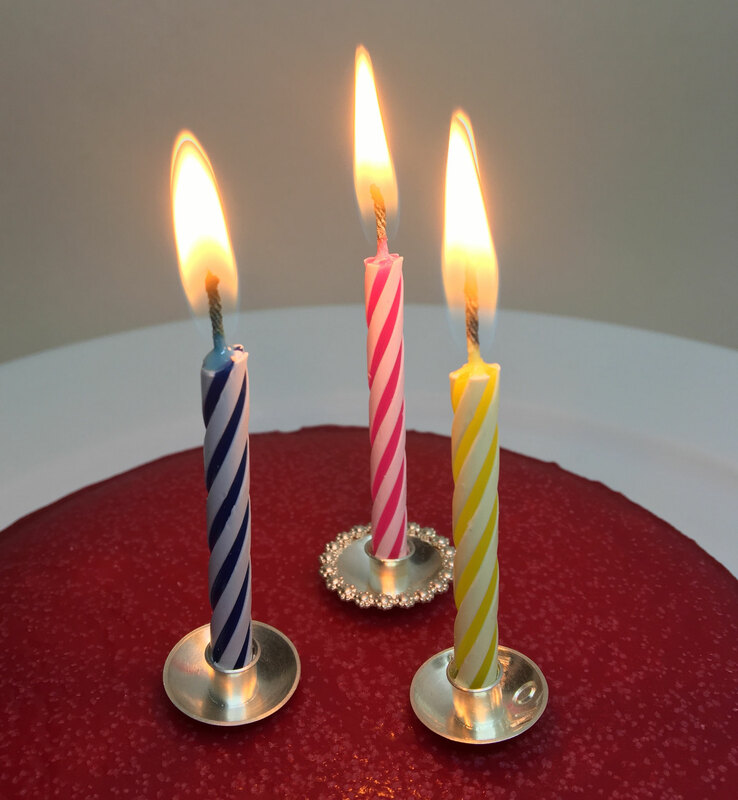 In the UK, North America, Australia and Germany, the number of candles is equal to the age of the individual whose birthday it is, sometimes with one extra for luck. 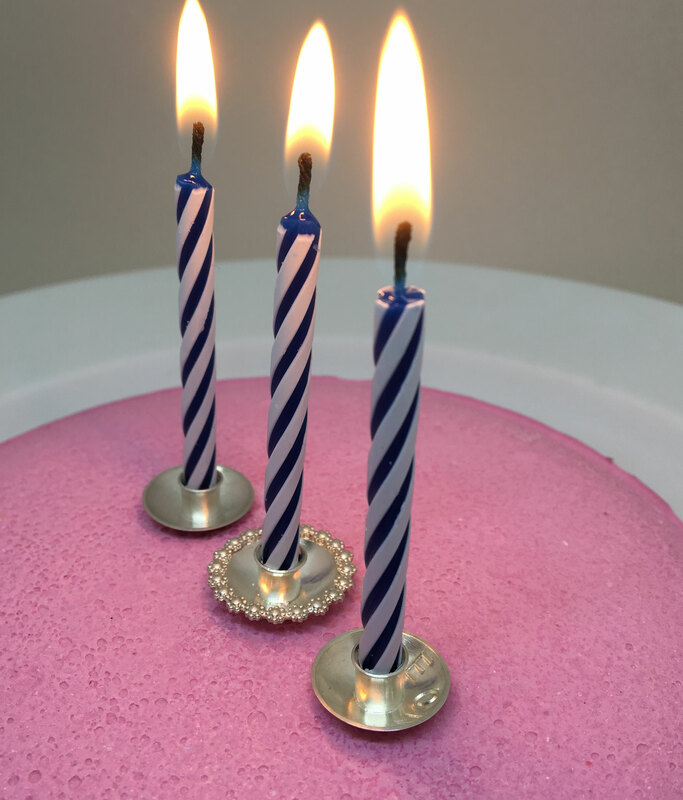 Traditionally, the person whose birthday it is makes a wish, which is thought to come true if all the candles are extinguished in a single breath. 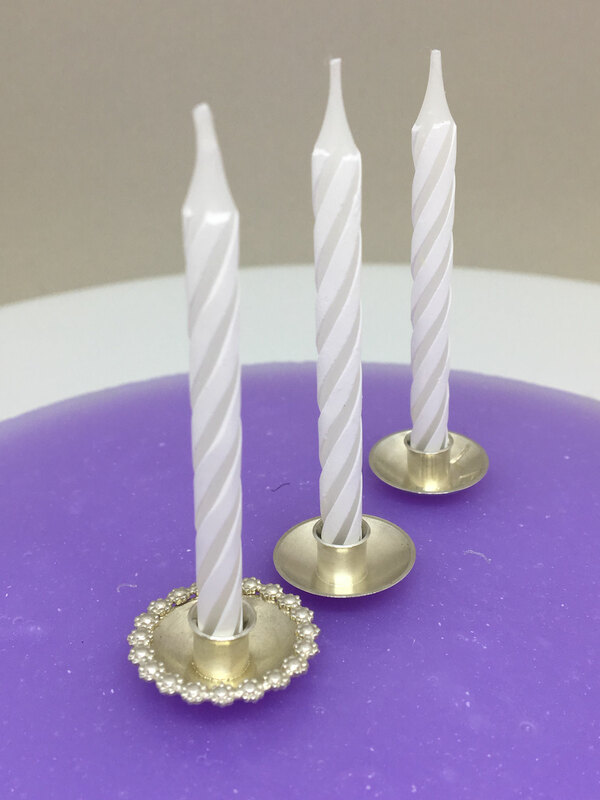 But for an extraordinary moment like this, you need birthday candle holders in sterling silver. 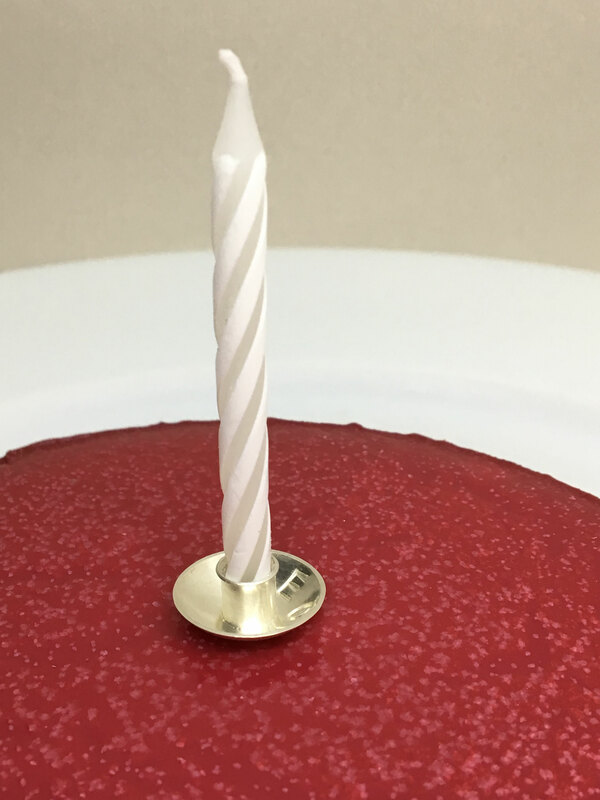 If you just put the candles in the cake, wax will drip on the cake. 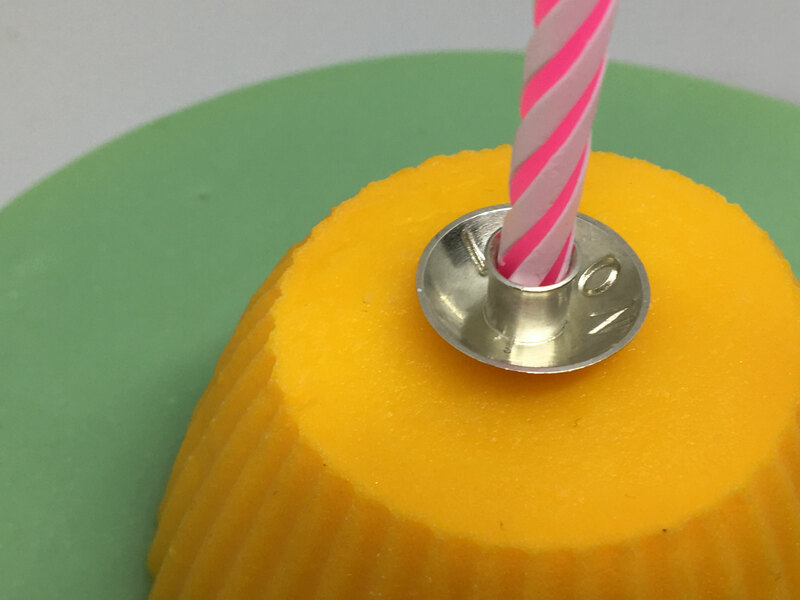 Do not use plastic on your cake. 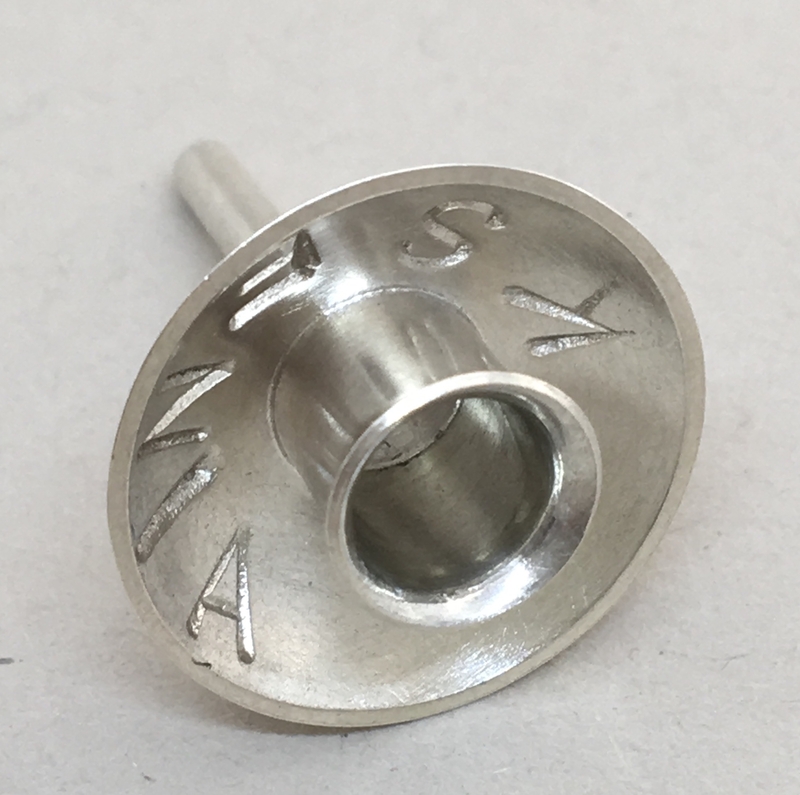 The plastic can burn, this is ugly and not hygenic. Take care about you and your families health. And take care about our environment, because plasic is not sustainable. 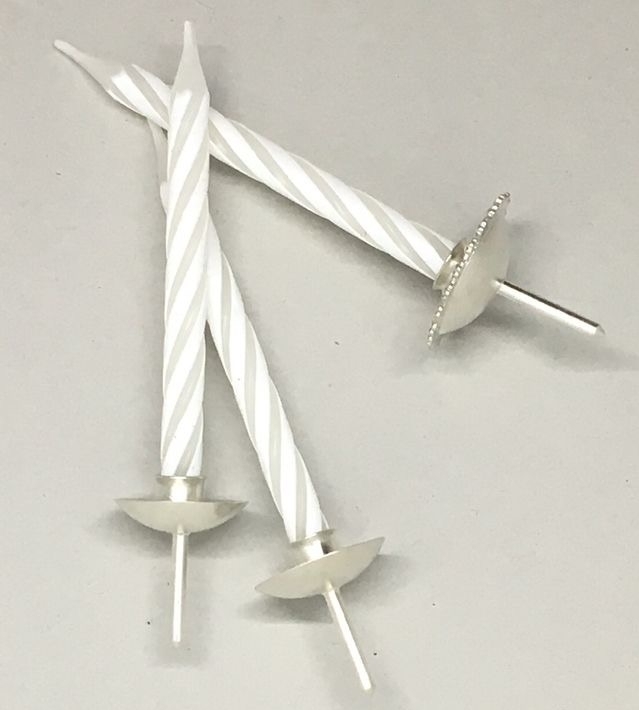 Use birthday candle holders in recycled sterling silver.